The Ohio School Counselor Accountability Report (OSCAR) is a visual report that allows school counselors to highlight all of the amazing work in their schools, and it all fits on the front and back of a standard size piece of paper! The OSCAR is an advocacy tool that can be shared with stakeholders to demonstrate the effectiveness and of your school counseling program. 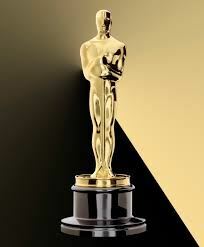 The OSCAR is also a great tool to help demonstrate your evaluation goals and student metrics. OSCA has created an OSCAR Development Manual that provides helpful tips on how to create your own OSCAR. It also includes a rubric to ensure you include all necessary parts, a template to help streamline your OSCAR creation and much more! We also have a YouTube video that further explains how to use the template and sample OSCAR's from other states to review. OSCAR submissions will be accepted and reviewed one time during the year, with a due date of April 30. If you wish for your OSCAR to be previewed for corrections (before final submission), please submit no later than March 30. After the OSCAR committee has approved your report, you will have the opportunity to be recognized at the All Ohio Counselors Conference and your document will receive an official OSCAR designation. If your OSCAR does not have all of the recommended details, you will receive feedback and recommendations for revision. All submissions must be uploaded to our Awards website under "Other Awards".